This disorder of the lungs which affects an estimated 210 million people worldwide, must be managed well to ensure the best possible quality of life for its sufferers. 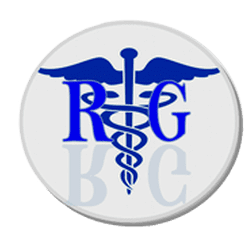 Dr. Rimma Gelbert of Brooklyn, New York serves her patients well, many of whom have chronic obstructive pulmonary disease (COPD). Call or book an appointment at Rimma Gelbert Medical PC today, to get your specialized plan of care started. COPD stands for chronic (long-term, does not go away entirely) obstructive (air is unable to flow properly) pulmonary (related to the lungs) disease (an unhealthy condition of the body). This disorder is the third leading cause of death in the United States. COPD is a term that refers to a few different conditions that all result in obstructive lung dysfunction, but each has a different cause for this obstruction. If you have COPD, you may have one or more of these disorders. What is the cause of COPD? In most cases, COPD is caused by exposure to something that damages the lung structures and tissues. In around 80-90% of cases of COPD, smoking is the primary cause. Exposure to second-hand smoke or other harmful chemicals over an extended period is also a major contributing factor to the presence and worsening of COPD. In a tiny number of COPD sufferers, a genetic problem called alpha-1-antitrypsin deficiency is the cause of their COPD. Scientists are currently studying other genetic causes. What are the symptoms of COPD? What are the treatment options for COPD? As a specialist in Family Medicine, Dr. Gelbert uses her expertise in the field to create a plan of care for your COPD that’s specialized and manageable for you in the long term. For your own specialized plan of care, call or book an appointment online today.